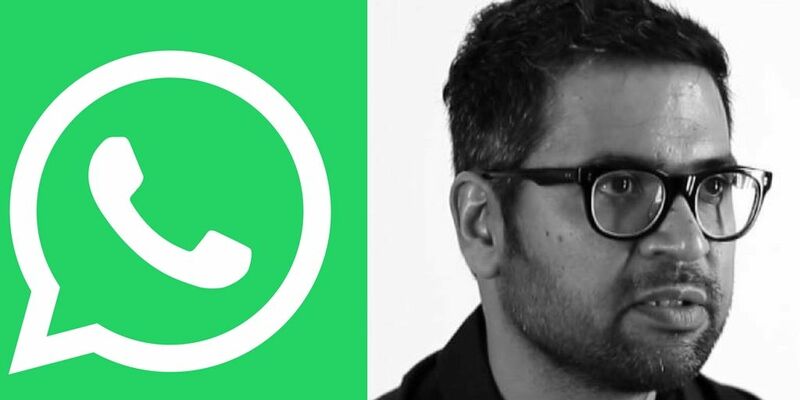 WhatsApp chief business officer Mr. Neeraj Arora decided to say goodbye to the most popular messaging services around the globe on Tuesday. He declared his resignation in Twitter and Facebook handles explaining the tenure of WhatsApp and his journey with entrusting WhatsApp to rise in future with trust and dependability. Mr. Neeraj Arora joined the messaging portal in the year 2011 when it was just two years old. His endeavours on WhatsApp were of total seven years with many ups and downs. Along with this, he worked with Times internet, and then he teamed up with Google for four years plus also held the director’s role in Paytm as well. Mr. Neeraj Arora did not specify about his plans or ventures and just wrote that he is willing to spend some time with family and friends. Thus, it is speculative that the departure of this office from WhatsApp was in good terms. While as per the current scenario where WhatsApp is being struggling with the augmented user base, and misinformation on a global front, this exit can turn out to be really challenging for WhatsApp. Plus he is not the only high profile official who resigned from this platform, and there were more prominent positions those were gone. The WhatsApp CEO Koum left the company followed with certain disagreements, and after some time, Acton Co-founder of WhatsApp left the company in the year 2017 intending for the future ventures. Along with WhatsApp, many elated positions are being left in other social media giants as well like Instagram. Seeing the awareness programs run by WhatsApp on such an extensive level and the turbulence the company is facing due to irrelevant information there might be some problems with this exit. But at the same time, Mr. Neeraj Arora was also felicitated with kind gesture by the WhatsApp spokesperson for his extensive participation in the success of the company.